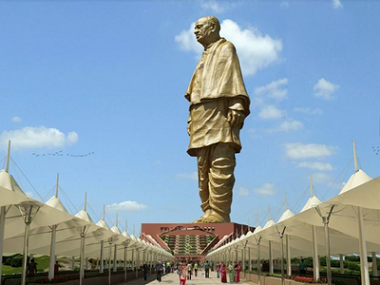 Kevadiya: The ‘Statue of Unity’ dedicated to Sardar Vallabhbhai Patel, which is touted to be the tallest statue in the world, is being given final touches as it is set to be unveiled by Prime Minister Narendra Modi on 31 October. 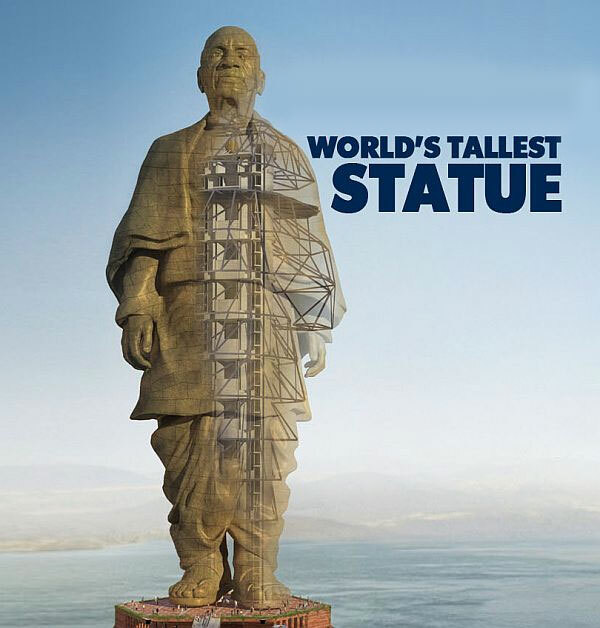 The statue, being built at a cost of Rs 2,389 crore, will be the world’s tallest, standing 3.2 kilometres downstream of the Narmada dam on the islet, Chairman and Managing Director of Sardar Sarovar Narmada Nigam Limited (SSNNL) SS Rathod told reporters. “Currently, marble flooring is being laid on the 306-metre walkway that reaches the base of the statue and from there to the viewing gallery. Besides that, work on escalators, a selfie point and a shopping point is also on,” the official added. Modi had laid the foundation stone for the project on 31 October, 2013 when he was the chief minister of Gujarat. Its work order was given to the engineering and construction major L&T on 3 December, 2014, and it was scheduled to be completed within 42 months. “However, the critical design phase took time, which pushed the deadline further by a few months,” SSNNL Superintending Engineer RG Kanungo said. It will have a museum on the life of Sardar Patel at the base, and two high-speed lifts will take people to the viewers’ gallery, from where they can see beyond the Narmada dam, the official said. “The statue is facing the east and not exactly towards the dam as proposed earlier. 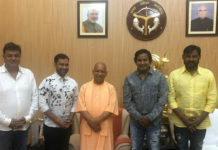 Its position was finalised on the basis of shadow analysis so that it remains bright for maximum amount of time,” Rathod said. It will also have a projection mapping facility, wherein images can be projected on its surface to create light and sound show based on Patel’s life, he said. The core of the statue is made up of reinforced concrete, but the surface that gives it a distinct design, has been created using 553 bronze panels, with each panel having 10 to 15 micro panels. The panels were cast at a foundry in China and imported by L&T. 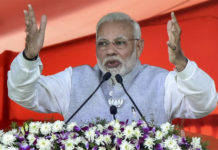 This evoked a sharp reaction from the Congress, with the party chief Rahul Gandhi repeatedly targeting the government, claiming that the statue which will have ‘Made in China’ tag. Once completed, around 15,000 tourists are likely to visit the statue everyday, officials said. Flowers will be grown on the hillocks adjoining the statue to make the 230-hectare area look like a “valley of flowers”, the officials said. To accommodate tourists in this tribal-dominated area, the state government is also constructing a 52-room three-star hotel and two “tent cities” with 250 tents. These facilities are currently under construction. In the second phase, Garudeshwar weir will be constructed around 14-kilometres downstream of the statue, with the facility of boat ride for the public. The museum will have 40,000 documents, 2,000 photographs and a research centre dedicated to Sardar Patel’s life, the official said.